Are you in your element when you are handling tasks for someone? Are you extremely organized and thrive in an environment where you can check things off of your to do list? If this describes you, then maybe you should consider pursuing a career as an administrative assistant. It is important to realize that the title of an administrative assistant has basically replaced the age-old title of being someone's secretary. In addition, for many large corporations, administrative assistants have more responsibilities than the secretaries of yesteryear. Before you can enter an institution of higher learning you must have obtained your high school diploma or the equivalent and have a solid GPA shown on your transcript. Keep in mind, the bachelor's degree in legal administrative assistant program is a good educational plan even if you want to become a stenographer or more of a secretary. The coursework required by this degree program includes classes such as: office machine operation, office procedures, office machine maintenance, business communications, word processing, data entry, public relations, filing systems, records management, report preparation, principles of business law, and secretarial accounting. It will probably help you tremendously if your word processing and typing skills have been thoroughly developed at the high school level. This will allow you to focus your attention on other skills that are equally important. Having a solid knowledge of multiple software programs will also be important as you enter your post-secondary educational level. No matter which post-secondary learning institution you decide to attend, you will be learning how to think more critically, how to relate well to other people, how to be an effective leader, how to communicate and manage in an ethical manner, and how to adequately research a given topic. This knowledge will help prepare you to handle a reception room, maintain client databases, work with vendors, answer phones, address client questions and concerns, handle bookkeeping, take care of mail outs, and tackle any other clerical tasks that may be necessary. While a bachelor's degree is not always necessary to land employment in this career field, it will definitely help to open additional career doors and can also factor into potential salary. This is partially due to the fact that potential employers assume that individuals who have completed their bachelor's degree will have a more thorough knowledge of the technology that will be used on a daily basis. In your capacity as an administrative assistant it will be important that you are open to continually learning new computer software that may be used in the work place. Also, consider the fact that larger corporations and companies are likely to have more opportunities for advancement than smaller businesses. In relation, your ultimate success as an administrative assistant will probably have a lot to do with your ability to patiently work your way up the corporate ladder within your company. Employees with seniority will more than likely have additional responsibilities, which will surely correlate with their salary and position within the company. The field of administrative assistants is wide open. When you graduate with your BA degree be sure to check out the below areas to find possible employment. - Assistance you’ll be able to do the following duties. - Effectively work with others in a legal setting or environment and provide support. - Show a skill level regarding supporting others in an office environment. 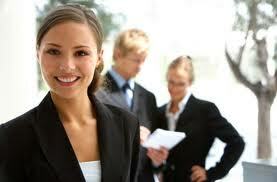 - Utilize your legal administrative skills in a written and oral manner. - Demonstrate problem solving and communication skills to the success of the organization you work for. Use analytical skills used in schools to assist with wills, family and corporate law. To further help you find employment after you graduate it is recommend that you also take additional exams which can earn you a certification in legal administrative assistance. Research the below associations for further information. Certified Legal Assistant – Get tested in areas that cover: contracts, civil litigation, legal system and business organizations. National Association of Legal Secretaries – Take a 4 part exam that covers communications, legal knowledge, ethics and office procedures. The PLS exam is given two times per year. The cost varies but members are charged $175 and non-members $225.